Using a variety of wearables and smart products, tech companies are getting better at putting high-tech medical equipment in the hands of regular schmoes. But what happens when you want more in-depth fitness data than just weight, heart rate, and steps? That’s where body fat trackers come in. By itself, weight isn’t necessarily a reliable indicator of overall health. These devices use advanced medical technology to provide users with information about their body fat and muscle mass, which are more useful indicators of health and fitness. Here are some of the coolest body fat trackers available right now, plus one that will be released later this year. The Skulpt Scanner uses a method known as electrical impedance myography (EIM) to calculate your body fat. The device — which is slightly bigger than your typical smartphone — sends a weak electrical signal through your body and measures how much of it dissipates. Since most electricity passes through fat unimpeded, but muscle arbors electricity, the Skulpt Scanner utilizes this pattern to detect body fat. So, a higher level of impeded electricity means a lower level of body fat, while a lower level of impeded electricity means a higher level of body fat. 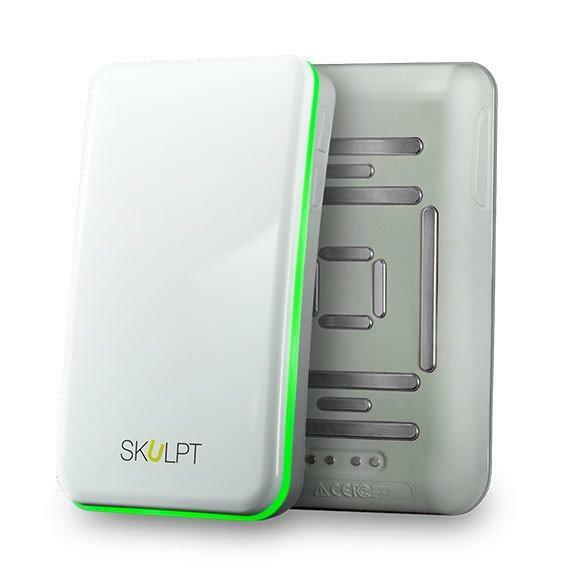 The Skulpt Scanner has 12 electrodes that measure the direction and depth of an electrical current. Its app displays your recorded body composition on the body parts you measure and can inform you of any progress over time. The TomTom Touch is a unique fitness tracker that appears basic, but it actually has some advanced features. It includes standard functionality such as step tracking, sleep tracking, and smartphone notifications, but it also lets users estimate their body fat percentage and muscle mass by pressing a button. 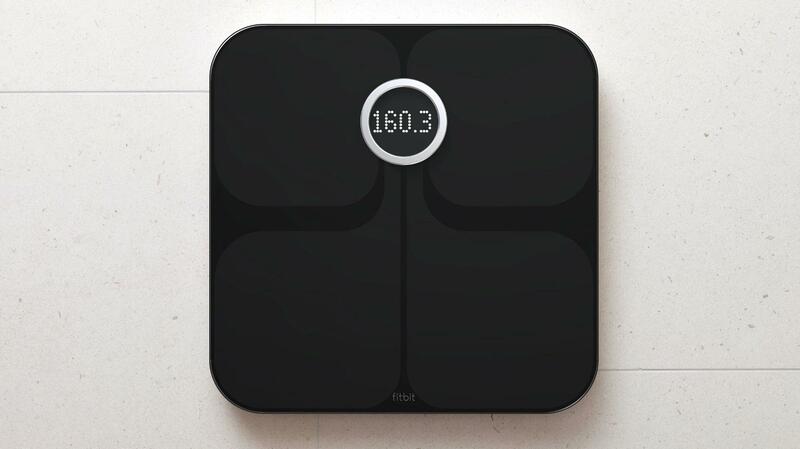 Like the Skulpt, it can estimate body composition by measuring electrical impedance. While it’s fair to question the accuracy of a feature like this on a fitness tracker, it can still be a useful tool for anyone who wants to understand their fitness progress. Even if it isn’t 100% on the money, it might be able to tell you whether or not your overall body fat percentage is increasing or decreasing. Looking for a device that’s a bit more accurate? Check out the Omron Body Fat Tracker. The device looks a bit like a fancy steering wheel for a racecar. When you grab both handles, it measures the electrical impedance through your body. Since the current passes from one side of your body to another, the measurements tend to be more accurate than others. The device has no frills. It features a simple LCD numeric display and doesn’t come with an app. But if you want a fairly accurate body fat tracker for a low price (you can usually pick one up for less than $40), then it’s a smart choice. 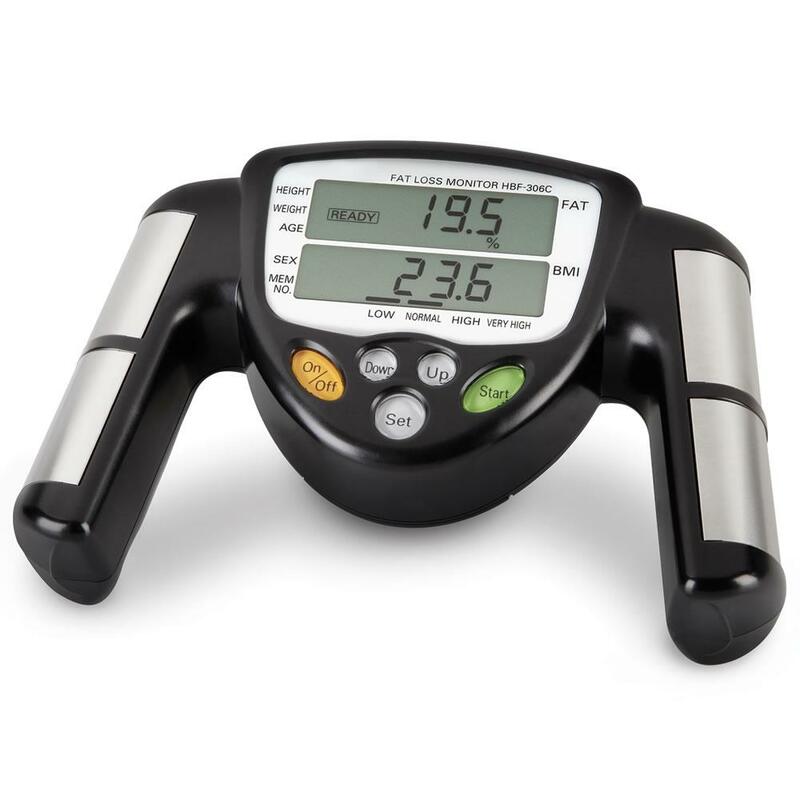 There are actually several smart scales that measure electrical impedance to estimate body fat. 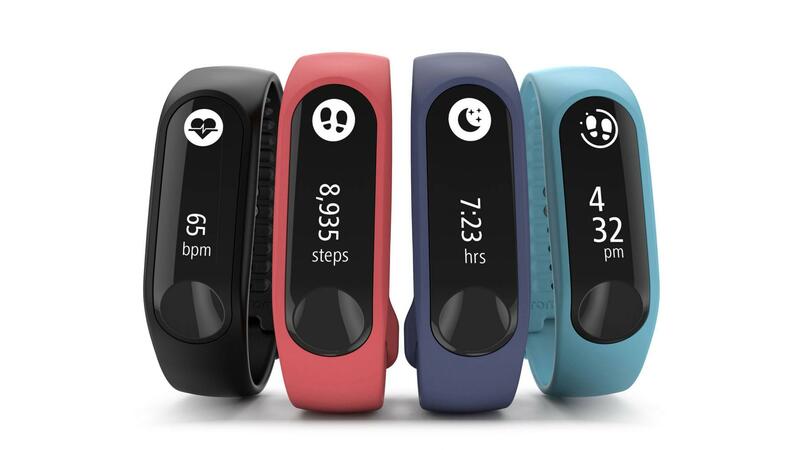 But if you are one of the millions who already use a Fitbit to track activity then you can up your fitness measurement game with the Fitbit Aria. The Aria measures your weight like a typical scale, but thanks to its Bluetooth connection, the device can deliver this information to your tracker and the Fitbit app. If more than one person in the house uses a Fitbit tracker, the scale lets you set up multiple users. Aria’s body fat measurement feature works by passing an electrical current through your feet. It’s a handy way to get all of your fitness stats synced to a single place. The Naked is an intriguing device that has not yet been released. But if it works as advertised, it could put high-tech fitness analysis inside peoples’ homes. The device consists of a scale and a mirrored panel. When you step on the platform, it slowly spins your body around while Intel RealSense Depth Sensors scan your body. It allegedly provides data about your overall body composition, how much progress you’ve made over time, and which areas you have gained or lost the most fat and muscle. So if you’ve been working on overhead presses or running laps in the gym, the scale has the data to prove whether your time in the gym was worth it. The Naked is currently on pre-order and is expected to ship in November 2017. It will cost a whopping $799 — plus a $50 charge — and anyone who wants to reserve theirs can do so for $95. Your weight, by itself, isn’t necessarily a reliable indicator of health.